Our new podcast has been recorded oversea’s by Darren Broomhead. He’s not very known on this side of the channel, but this man has been going around the technocircuit since ’92 where he played his music on stolen pirate radio airwaves. He was influenced by legends like Jeff Mills, Surgeon and Luke slater. After a break from the music scene for personal reasons he returned in 2007 with a new chapter. 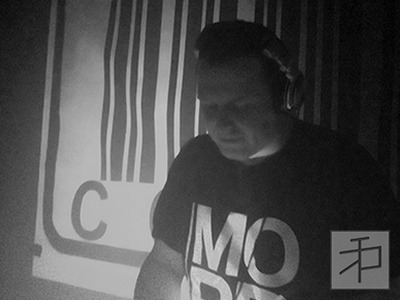 Following the musical story of AnD, Perc and Ancient Methods he discovered the new influence of the industrial sound . Be on the lookout for any future productions of this guy. This entry was posted in Audio and tagged 1992, 2007, 2014, ancient methods, and, jeff mills, luke slater, mining coal, perc, pirate radio, soundcloud, substance and program, surgeon, techno, uk, united kingdom on 04/01/2014 by Thrill Recordings. © Copyright 2019 Thrill Recordings, All Rights Reserved.